Do you love Despicable Me? Then get your crayons ready! Have coloring fun with this printable Despicable Me colouring sheet for kids. 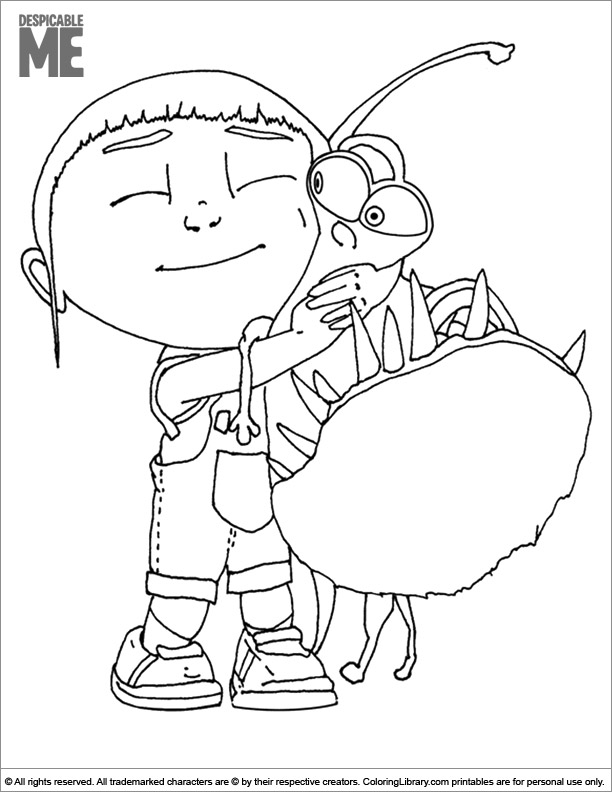 Colouring pages are not only fun but they will give your child the opportunity to learn the names of colors. If your kids love to colour, you make colouring a weekly activity, just print a bunch of the Despicable Me colouring sheets. Be sure to bookmark The Coloring Library and tell your friends!